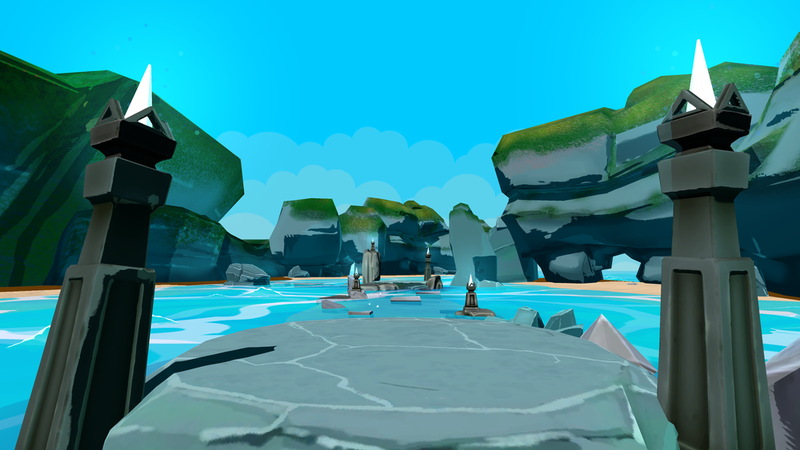 Challenge your opponents while looking at the serene view of a beach, crystal blue waters, and majestic rock formations! Sounds too good to be true doesn't it? Enjoy the scenery of 'The Cove' while annihilating your friends in our upcoming update Patch 1.0! Welcome to 'The Cove!' another map that will be available to all players in our upcoming full release update! Once again located in the same region as the legendary 'Squizzard', the Cove arena is constructed in honor of the legendary wizard that took down the creature. A large gate door on the right of the arena serves as an entrance for mages all over the world to teleport to this location. This map was inspired by tropical environments while referencing many fantasy realms. We hope players will enjoy our map selection in our full release update! Although the environment is soothing, mages do not be deceived! The short distance between each player will make it harder to dodge spells. Magical barriers cast on the sides of the arena means all projectiles will ricochet vertically and horizontally! 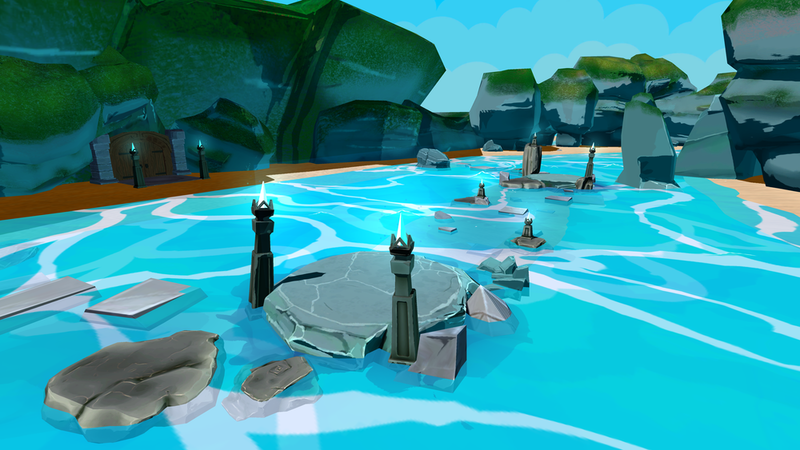 Use the rock formations in the water to bounce spells to outsmart your opponent! Lastly, don't fall into the water! 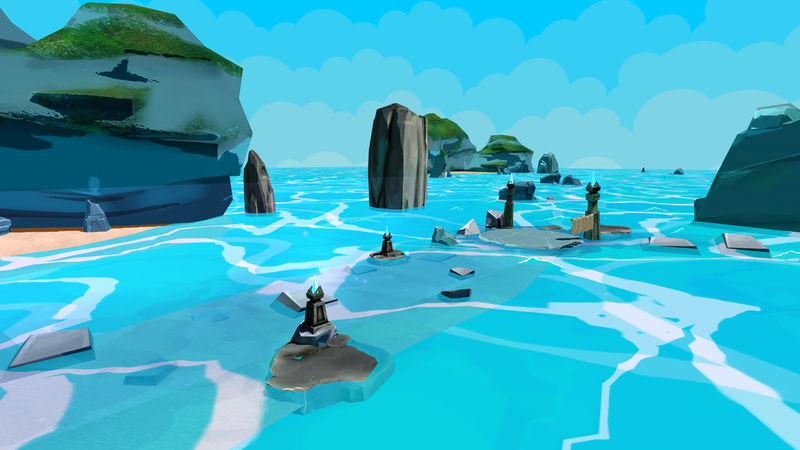 We hope player s will enjoy this map's layout and its surrounding environment! 'The Cove' will be another map available to all players in our full release update 'Patch 1.0' coming soon! [Match Making] Patch 0.3.0: A new way to play Multiplayer!